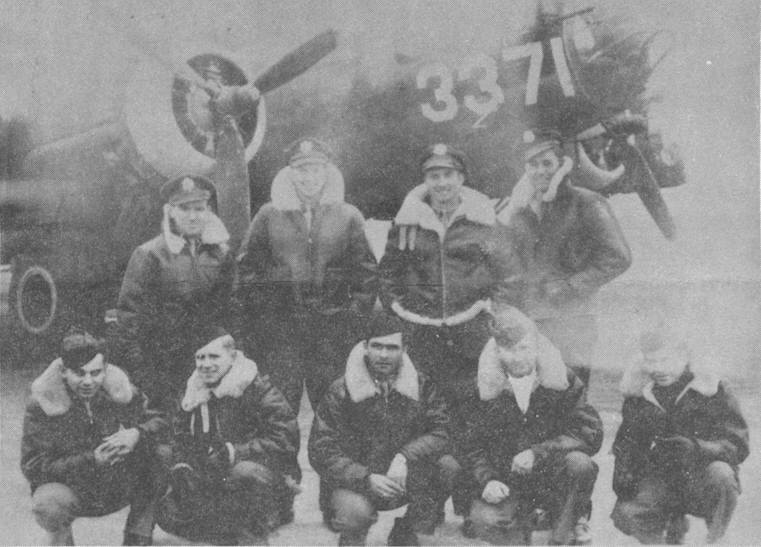 The Kenny Crew while stateside with a training B-17. Standing L-R: Jim Kenny (P), George Muellerschoen (CP), Bill Gombos (N) and Conley Ferguson (B). Kneeling L-R: Jim Buegler (BG), Ray Snow (WG), Roy Smith (TG), Walter Johnson (E) and Ernie Waite (R).